After crashing early in the 40th edition of the Dakar, US-American driver Bryce Menzies wants to return in 2019 and complete his dream of becoming the first American to win the Dakar. 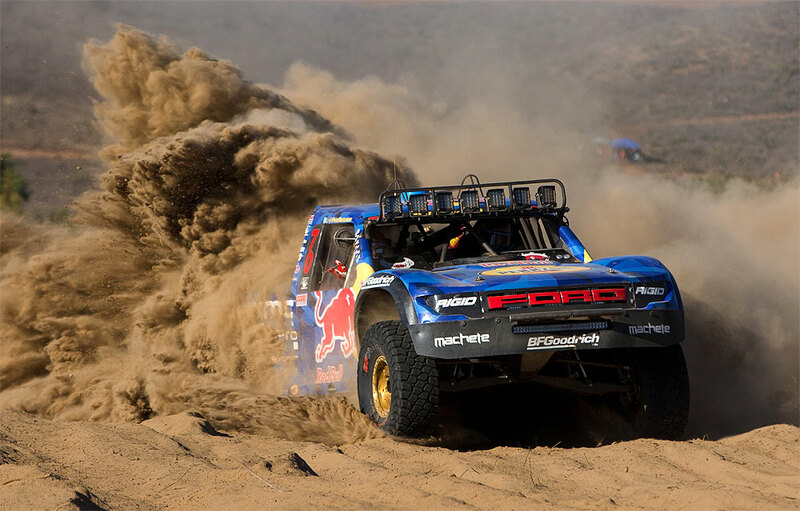 Menzies, the truck racing star from Arizona who saw his 2017 chances wrecked by injury, started the 2018 Dakar Rally together with his navigator Pete Mortensen with the firm belief that he could challenge the desert car veterans for victory over the punishing 14 stages in South America. But after ending day one in fourth, a seemingly innocuous bump in the terrain on day two threw the back of his X-Raid Mini Buggy end-over-end and out of the world's toughest motorsport race. Menzies isn't content to sit around feeling sorry for himself, though, instead already focusing his mind on a 2019 assault for the title. "My desire this last year has been huge. Getting over here and experiencing it, my desire is now even more," said the 30-year-old. "A lot of drivers came over and talked to me after the crash and it really helped me out. You can't take risks that'll end your race early. You have to be at the end of the 14 stages and 16 days to win it. That's the biggest thing I'll take away." It's not just a personal journey for Menzies either with the growing weight of expectation back home in America from his huge fanbase. "It was heartbreaking because I'm representing the USA too," he explains. "Everybody's given me a lot of hope and told me to keep my head high, but it still hurts." His goals are clearly defined: "We have to work harder, come back, finish the rally in 2019 and make everybody proud and happy. There's been no American who's ever won Dakar, and that's another goal of mine, to be the first man to do that. I'm committed and my passion is off-road racing. For the next three to five years, our goal is to win it, I'll try with every effort I can." As for the rest of this year, Menzies will take on around six desert races, including the Silk Way Rally and the Rallye du Maroc. "I'm getting more familiar with the two-wheel drive," he adds. "It's so different to four-wheel. I feel comfortable in it, but I need to know the limits of it more."